IFA 2016 is expected to be the location where LG will unveil details about the LG V20. 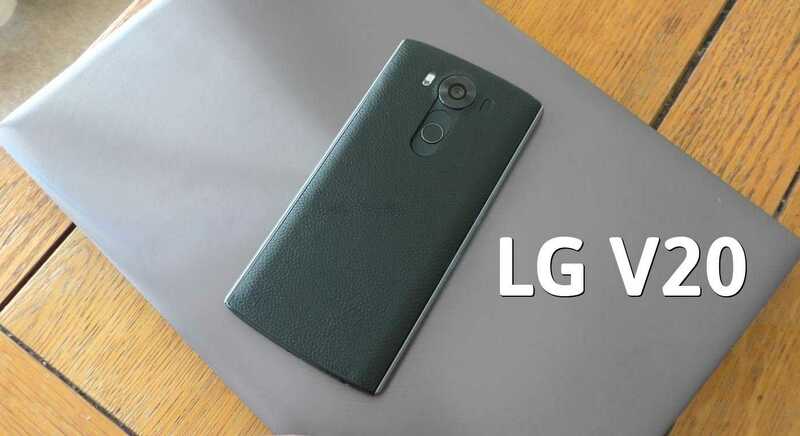 The phone will be successor to the LG V10, which was one of the most underrated smartphones of 2015. Despite possessing a vast array of features, the LG V10 was never spoken in the same breath as the top end phones from Samsung and Apple. It was swept under the radar, but the phone remains a great adaptation of the LG G4. It could be said that the LG G4 is one of the best smartphones made by LG and the tradition continued with the LG G5. One of the ways to see the upcoming LG V20 is thinking of this device as an improved LG G5. The phone is expected to offer the same QHD resolution display as the primary screen while there is also a secondary display just about this panel. The secondary display will be one of the talking points of the LG V20. Back when it was introduced on the LG V10, it seemed like a novelty piece put together so as to challenge the Samsung phones with edge display. In the last 12 months, though, this screen has demonstrated a lot of use and is actually better for aspects like notification when compared with the edge display. The secondary screen is always on, but it is highly unlikely that users will resort to the multitasking option through this screen since reaching at the top is cumbersome on a phone with 5.7-inch screen. One of the biggest advantages of the LG V10 used to be the camera. The upcoming LG V20 is expected to improve on this aspect even further by having a 20-megapixel shooter at the rear and an eight-megapixel camera in the front. A unique aspect of the LG V family of smartphones is the dual cameras in front, which are used for both wide-angle or portrait selfies. A limitation of the device has always been the design. Not much changes are expected in this regard. The LG V20 could continue with the same advantages like user replaceable battery and a microSD card support. If it does so, it will be in the elite list of phones that still support battery removal by the user. The 2000 mAh battery on the LG V10 is expected to be improved to a 4000 mAh battery. If Samsung hadn’t ’emasculated’ the Note 5 in stripping that device of its micro SD card slot I’d never have found out how nice the V10 is. All that LG need do is to correct the few shortcomings found in the V10. What few items needing correction have been widely discussed on the Internet now for several months.